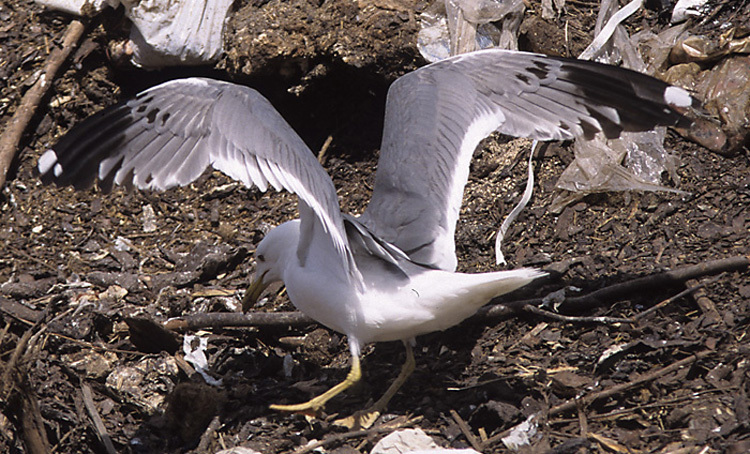 No moult in wing coverts. Longcall very cachinnans-like (note the posture 90º degrees). 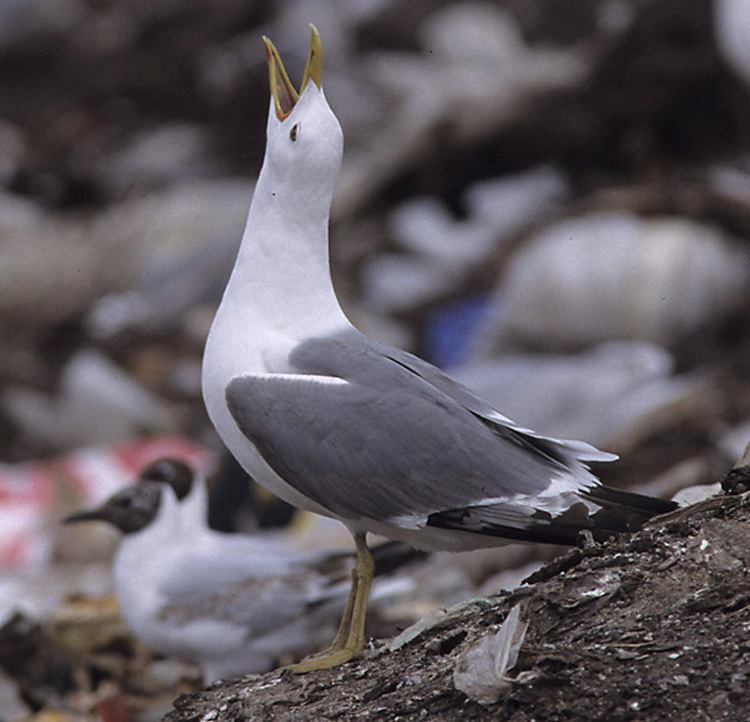 During last 10 years I have met only one more such a singing Gull out of about 500 adult Heuglin's Gulls, whose longcall angle is usually 45º degrees. 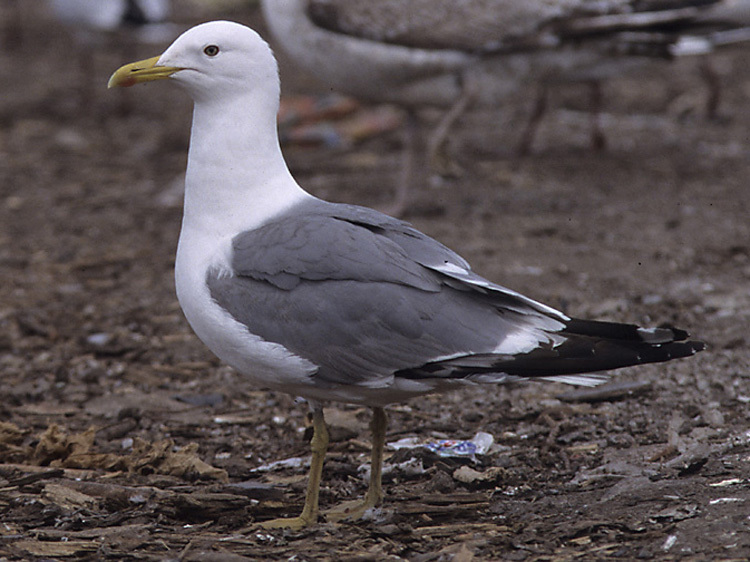 Heuglinis usually have a longcall pretty similar to argentatus-type. 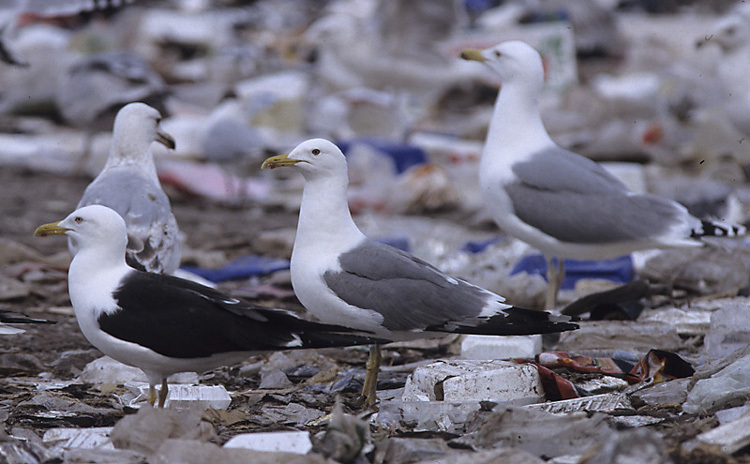 So, might this Gull be a barabensis perhaps? Large grey tongues on primaries on the underside. 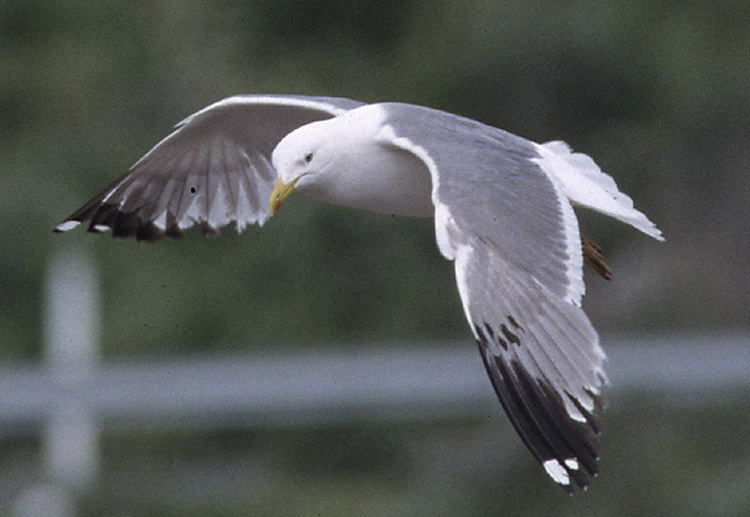 Darker grey than an adult argentatus, but clearly paler than a nominate fuscus. Eye pretty dark. Note large blackish streaks on primary coverts. 7 black primaries.